The MNA Board during a meeting in March 2014. 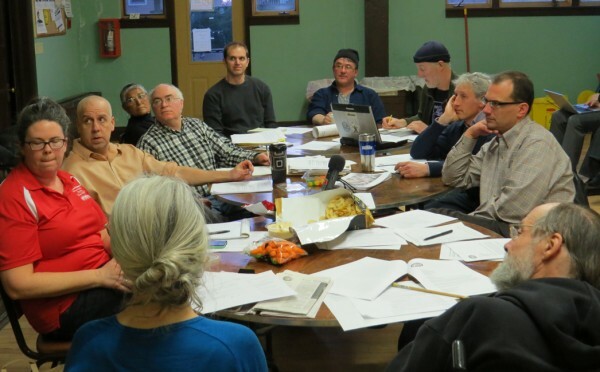 The Marquette Neighborhood Association (MNA) has always been a very active organization but the need for motivated members and leaders is a constant. Our neighborhood, located in the heart of the state capital, is host to many constituencies and their agendas can have stark impacts. For example, the effects of the demolition of a long-standing industrial building have yet to be fully enumerated and the neighborhood is still trying to get answers from the state. Additionally, the neighborhood is grappling with development and how to interpret the detailed neighborhood planning that was undertaken only a few years ago. Wounds are still fresh from the shooting of Tony Robinson and the response to a brutal sexual assault on the bike path is just beginning. The MNA was also instrumental in thwarting an ill-conceived reconstruction of Jenifer Street that would have permanently changed the look and feel of this idyllic yet key transportation artery minor. If you live here it’s likely that you love the festivals, which are the top four neighborhood events in the city. Our streets, homes and parks makes for destination living. But it took four decades of effort to make it this way and keep it so. Your neighborhood needs to hear from you through words and engagement. 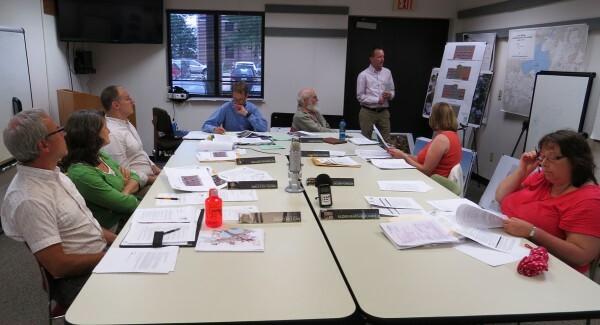 The Landmarks Commission meeting on June 15, 2015. (clockwise) Commissioners David McClean, Erica Fox Gehrig and Micheal Rosenblum, Commission Staff, Chairman Stuart Levitan, Randy Bruce of Knothe-Bruce Architects, Commissioners Christina Slattery and Marsha Rummel. The status of a new development at 906 Williamson Street is in doubt after the Landmarks Commission voted 4 to 1 today (June 15) to deny a demolition permit to remove a 114 year-old four-bedroom home that is currently on the site. 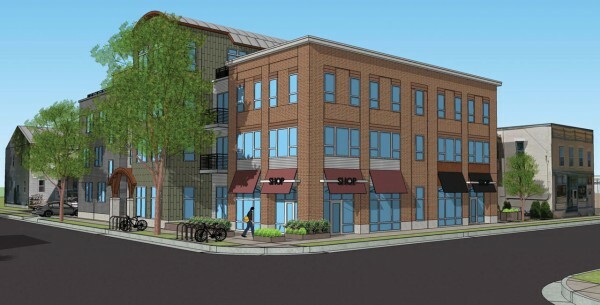 The original project was proposed late last year by developer Louis Fortis and has gone through an evolution as both the neighborhood via the Marquette Neighborhood Association and Landmarks have weighed-in. Knothe-Bruce Architects has been shepherding the project and has made many adjustments based on neighborhood input. However much of the staunch resistance has been from Landmarks itself which signaled it’s opposition to allowing demolition of the home when Knoth-Bruce made an informational presentation at the commission’s April meeting. The neighborhood has shown a fair amount of opposition as well, arguing the home, while not a notable landmark, contributes to the historic character of the Third Lake Historic District. The development has had it’s supporters as well, contending that this particular home is beyond saving and would require repairs that might approach it’s current value. Additionally, many felt that it was only one of two single-family homes remaining on a block that is almost entirely commercial. 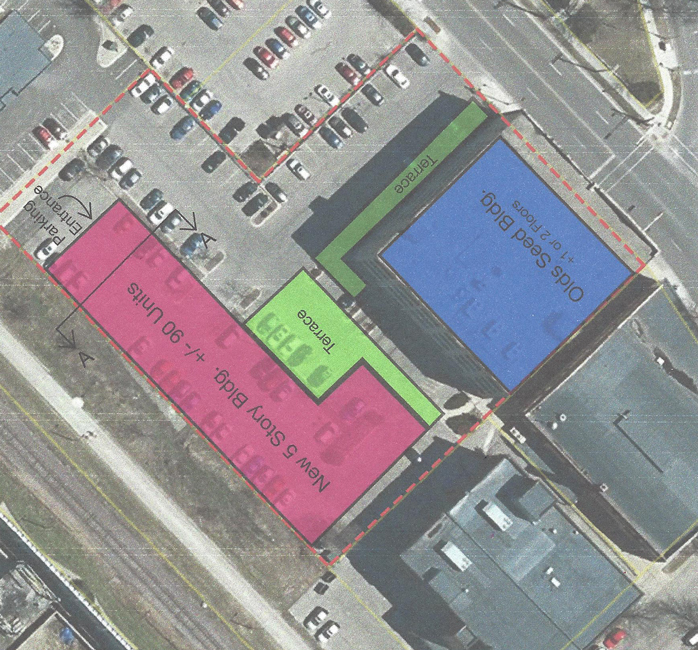 Plan for the exterior to the new Buraka, which will occupy 1210 Williamson. 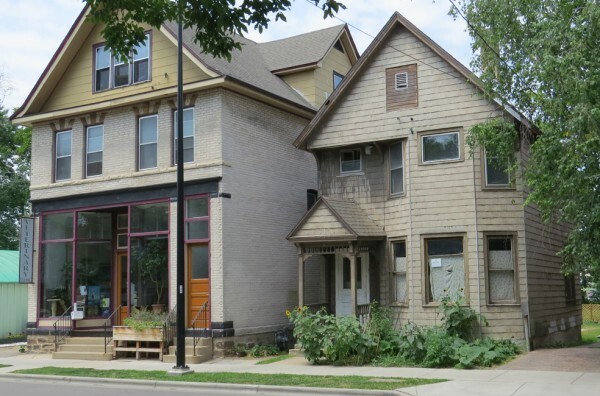 The Marquette Neighborhood Association Preservation & Development Committee meets Tuesday (June 9) to consider and vote on two requests for outdoor seating and one alcohol license. Maron Ragassa, owner of the much-hailed Buraka (1210 Williamson), has revealed drawings for the upgraded front of the building and rear deck and is seeking neighborhood support. The concrete block building, which was constructed in 1966, has housed such venerated businesses as the Willy Bear and the just departed Jolly Bob’s, but is mostly architecturally unremarkable. This should win easy clearance from the Landmarks Commission; their staff report says Ragassa will have to modify the planned exterior insulation and siding as well as provide more detail about how the rear deck will relate to the building. 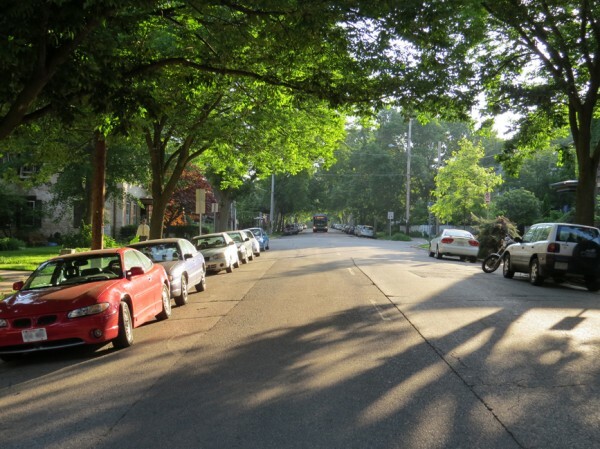 The Marquette Neighborhood Association (MNA) holds its annual Membership Meeting Thursday October 15, at 6:30 p.m. with an open house at 6 p.m. The gathering, held in the Marquette Elementary School Cafeteria accomplishes several goals for the year. It allows members to pay annual dues, vote on new Board members, hear the yearly state of the neighborhood address from the President and approve the yearly budget. The Board also presents the Good Neighbor Award to two individuals who have made positive impacts on the community. 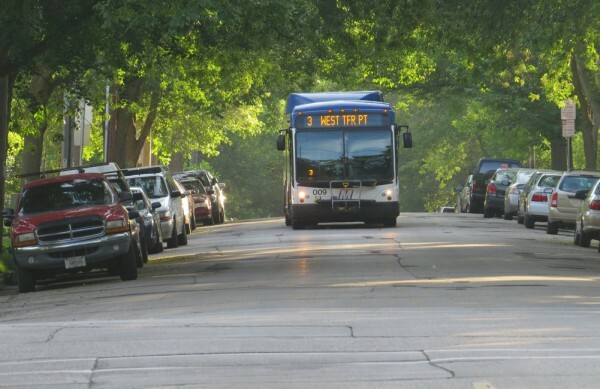 The Marquette neighborhood runs from Blair street on the west end to Division Street and portion of Dunning on the east. Its northern border is East Washington Avenue and then winds its way toward the lake along First Street and then along Eastwood Drive. 1018 Williamson (right) is spared from demolition for now. Owner Mike Kohn, who also owns the Petinary (left), wants to convert the property to greenspace. When Petinary owner Mike Kohn purchased 1018 Williamson in 1992 it was in sorry shape and he planned to tear it down. A year later the City of Madison Landmarks Commission granted him permission to demolish the property but it never happened. Now 22 years later, after restarting the process, Kohn will have to wait another year to try for a demolition permit. 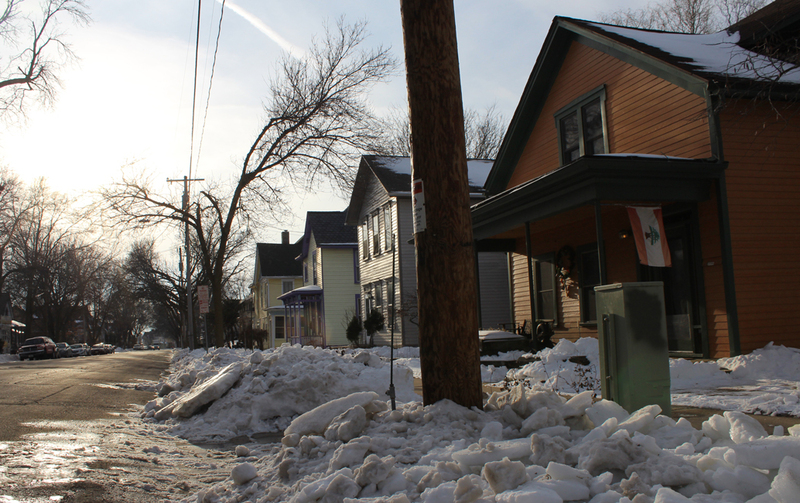 Landmarks has suspended his application for demolition until next fall, a move that one person close to the process says may be nearly unheard of in Madison.